Astronomers claim that a major accomplishment has been to explain how our Sun and the stars work, but they got it spectacularly wrong. In 1920 Arthur Eddington proposed that the Sun is powered by a nuclear fusion generator located at its core that converts hydrogen into helium (the proton-proton theory), and in 1938 Hans Bethe calculated the fusion reactions that, he claimed, power the Sun and the stars. His estimate of the core temperature of our Sun, 15 million degrees Kelvin, is still widely accepted today. After a delay of twenty-nine years, perhaps to see if any better ideas would come along, Bethe was awarded the Nobel Prize in physics, which practically guaranteed that his views would be widely accepted. It all amounted to elegant theory, but elegant theories have value only if they are true. Astronomers claim that one of the major accomplishments of their profession over the past century has been to explain how the Sun and the stars work. From 1970 to 1994 a unique experiment was carried out at the Homestake Gold Mine in South Dakota, 4,850 feet underground to provide protection against cosmic radiation. The major component was a tank, 20 feet in diameter and 48 feet long, filled with 100,000 gallons of dry cleaning fluid, tetrachloroethylene (C2Cl4), as a convenient source of chlorine. A quarter of all chlorine atoms on Earth have two extra neutrons, and when neutrinos in the right energy range collide with these isotopes they produce atoms of radioactive 37Ar. Every few weeks, helium was passed through the tank to collect the radioactive argon that had resulted from collisions between neutrinos and some of the chlorine atoms in the fluid. Their radioactive nature presented a ready method for recording the number of neutrinos that had been captured, while the efficiency of the extraction procedure was determined by adding and assaying for a known quantity of 36Ar, which is a rare nonradioactive isotope of argon. The experiment turned up less than a third of the predicted number of neutrinos, and this became known as ‘the solar neutrino problem’, supporting doubts about the energy source of the Sun. 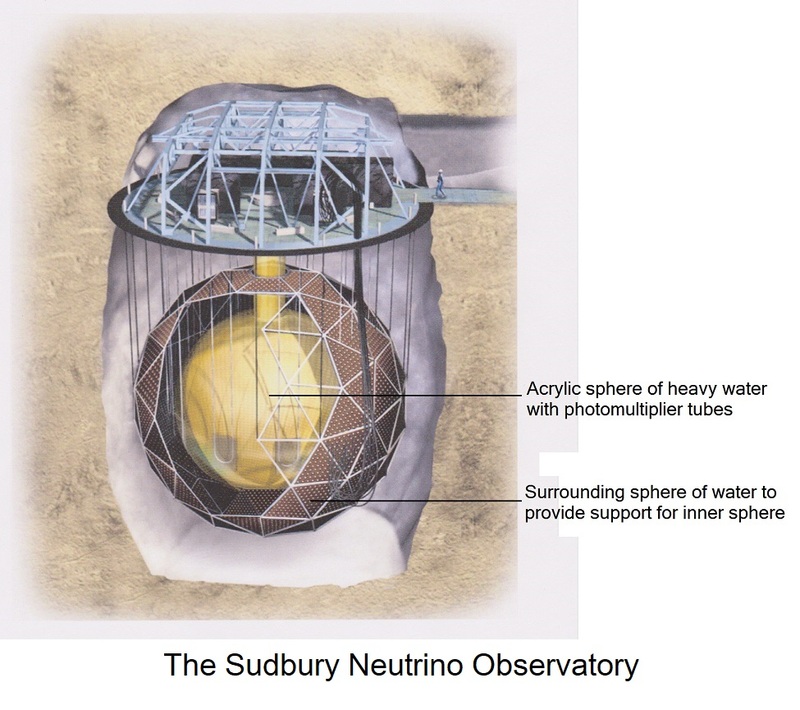 The ‘missing’ solar neutrinos were sought for almost 30 years before the program was discontinued, because thermonuclear fusion in the core of the Sun was confidently accepted as the source of all of the Sun’s energy. The Homestake experiment was legitimate science, and there was every reason for it to be carried out. An inherent flaw, however, was that it was never intended to be an experiment at all. It was intended, rather, as a demonstration of all that astronomers knew about the Sun, and no consideration had been given to any requirement for a ‘Plan B’. Furthermore, the concept of doing the same thing over and over and expecting a different result is well known. This may have dawned on the managers of this project as its 30 year anniversary approached. Perhaps cosmologists are just an unusually patient sort. The Axion Dark Matter Experiment (ADMX) is an ill-conceived search for axions which has been carried out for more than 20 years, and plans are in place to keep it going for at least another 10 years. If this happens ADMX will have exceeded the record set by the search for the missing neutrinos, before it too, is discontinued. The SNO experiment observed light from electrons produced by neutrino interactions that had been slowed down by the heavy water. (This ‘Chernokov radiation’ is what produces the blue glow in underwater nuclear reactors.) SNO concluded that neutrinos can transmute from one ‘flavor’ to another during travel through space proving, according to them, that neutrinos have mass. SNO reported that their experiment demonstrated “elegantly” that solar electron neutrinos from 8B decay in the solar core change into other active neutrino flavors in transit to Earth, and that this fully explains the missing neutrino problem One program director, introducing a maximum of spin, stated that the S.N.O. experiment “…could be one of the most important scientific experiments of the 20th century” and added that it supported the Standard Solar Model “…to a 99% confidence level.” This was a bridge too far. More reasonable SNO reports suggested that the changes in flavor are “consistent” with predictions of the Standard Solar Model while another considered the “intriguing possibility” that some of the neutrinos from the Sun change their flavor before detection at Earth. I am going to approach the missing neutrino problem from a different direction. Not every scientific claim on the right-hand side of the Chocolate Box chart (See #18: The Chocolate Box) is spurious, but the SNO experiment, which is a branch of Particle Physics, is almost as far on the right as one can go. The further to the right a science is situated on The Chocolate Box chart, the more suspect it becomes, so it is going to require more than an “intriguing possibility” to carry the day. I have commented before that when one really and truly and with all of one’s heart wants a particular result to work out, it often does. I accept that scientists, who dated the Chicxulub impact site to the exact age they required, are honorable men. Likewise, I accept that scientists who conducted the SNO project are honorable men. I accept that the scientists who used fossils in the Caribbean Sea to provide the exact age they required after discarding results that were “less well constrained”, may not have recognized they were acting inappropriately. Sometimes, all the required numbers just seem to work out, and when Hans Bethe’s numbers worked out for him on the proton-proton theory, he received a Nobel Prize. SNO’s director, Art McDonald, shared the 2015 Nobel Prize in physics for the discovery of neutrino oscillations showing that neutrinos have mass. Also, in 2016, SNO was awarded a 1/5th share of the lucrative Breakthrough Prize in fundamental physics. In 2001 S.N.O. had reported that neutrinos were detected oscillating between different forms, which they termed ‘flavors’. 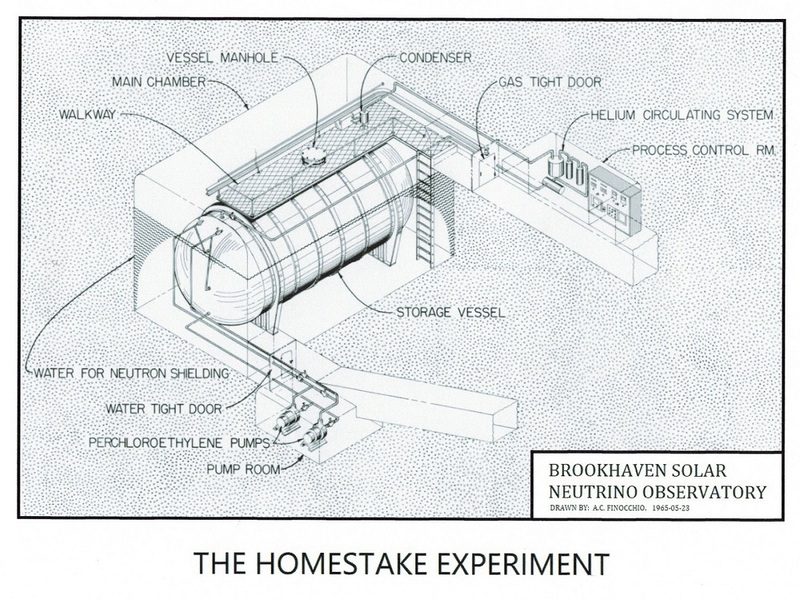 The Homestake experiment, it was concluded, had not captured all the neutrinos that had passed through it since the energy levels of some neutrinos were too low to react with 37Cl in particular. These extra neutrinos, although their number was unknown, were regarded as a satisfactory explanation for all of the missing solar neutrinos that had been sought for so long. One difficulty in accepting all of the SNO conclusions is that measurements can be made only at the Earth end and not at the Sun end. Results that were triumphantly announced are necessarily dependent upon acceptance of the Standard Model of the Sun. This requires solar neutrinos to be produced by a process of thermonuclear fusion in the core of the Sun. In “The Electric Sky” (p. 48), Donald E. Scott offers this comment: “There is no way that a measurement taken at only one end of a transmission channel can reveal changes that have occurred further up the channel.” And yet, this is precisely what the SNO experimenters claimed to have accomplished. Many now consider the missing solar neutrino problem to have been solved, and the nuclear principle of the Sun’s energy source to have been returned to its pedestal. Astronomers everywhere must have breathed a sigh of relief, for their claim of a fusion process in the core of the Sun could now be widely endorsed. One SNO scientist claimed that the solar neutrino flux “agrees remarkably well” with predictions based upon the Standard Model of the Sun, and this is where he tossed in that 99% confidence level. There is something very seriously amiss here. Regardless of what the SNO experimenters thought they had resolved, their conclusion regarding the energy source of the Sun is mistaken. The results of the Ulysses experiment cannot be ignored just because scientists have too much invested in their orthodoxy to ever admit they could be wrong. We all know about banks that were too big to fail; now we have science that is too big to be wrong. The Ulysses program has always been of particular interest to me. In 1994 I accepted an invitation to present a paper to the Planetary Geology group at NASA’s Jet Propulsion Laboratory in Pasadena, which is NASA’s main research and data processing facility. There, I had the rare privilege of discussing the Ulysses program with some of the scientists who were running it. Ulysses was then approaching the south-pole of the Sun for the first time and anticipation was running high. Launched by the Space Shuttle ‘Discovery’ in October, 1990, and employing the benefit of Earth’s orbital speed to send it on its way, Ulysses, a joint venture of NASA and ESA (The European Space Agency) is still the only space probe to have been sent outside the plane of the ecliptic. Since there was no rocket with the capability of accomplishing this feat, a unique solution was employed. 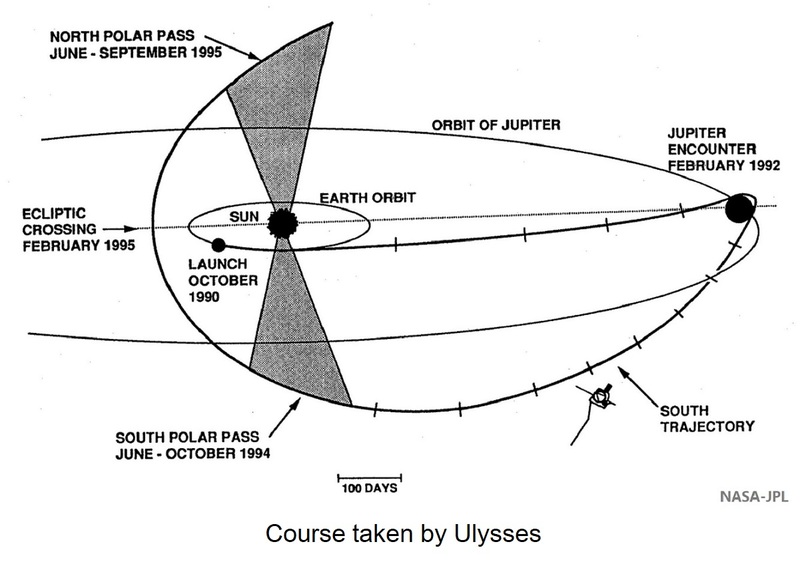 Ulysses was directed to swing around Jupiter, employing that planet’s gravity field to bring its trajectory close to a right angle to the ecliptic plane. 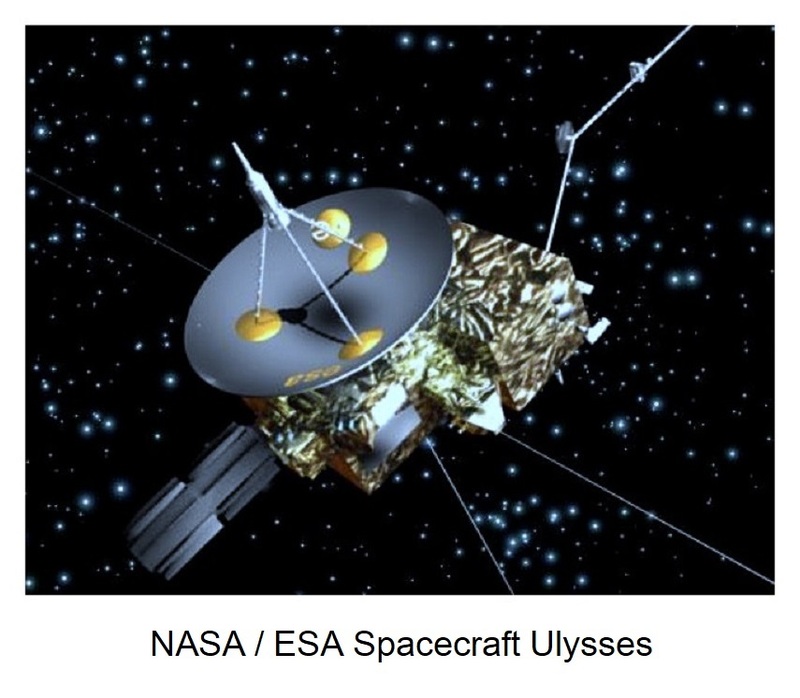 As Ulysses sped back toward the Sun, crammed with magnetometers, spectrometers, charged particle detectors, radiometers, etc. it sure looked as if science was about to be carried out. A discovery was soon made. As Ulysses made its first approach to the south-pole of the Sun NASA reported electric currents in the “trillions” of amperes flowing out of the Sun. Their point might have been made even more effectively if a term like “gazillions” had been employed. (A space probe cannot measure voltage directly but it can distinguish an electric field.) One problem was that Ulysses was unable to measure the absolute strength of those currents or, evidently, to interpret the direction of current flow. These currents constituted the most important information to come out of the entire program, but NASA’s original claim that they flowed out of the Sun was made without supporting data. It was made to agree with the prevailing faith of astronomers. Eventually, NASA recognized that the direction of electron flow was into the Sun. Even so, a senior member of the Solar Group at JPL assured me (by personal email) that when Ulysses arrived at the Sun’s north-pole the Sun would be in the opposite phase of its 11-year cycle and then the currents would be flowing out of the Sun. (This was remarkable since they usually avoid making predictions like that.) I wrote back to tell him that there was no way this would happen. (I suppose I could have been more diplomatic.) He did not reply. 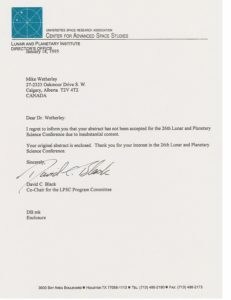 I also wrote to several well-known astronomers to bring this matter to their attention, asking them to take it up with NASA, but none of them replied either. For professional astronomers to question the energy source of the Sun is not, I suppose, something most of them could feel comfortable doing. Just to confuse us all, current has been redefined as the direction in which a positive charge would move toward the negative terminal, although the electrons still move from negative to positive. Whatever you call it, electrons from the Oort Cloud enter the Sun at its north and south poles. Mighty Jupiter, more than twice as massive as all the other planets in the solar system combined, radiates more than twice the energy it receives from the Sun and was described by Carl Sagan as a “failed star”. Jupiter must also have electrical currents entering its poles, providing some of the energy that it gives off. The common explanation that this high energy level has persisted from the time of Jupiter’s formation lacks any proof. Like some other long-established claims in astronomy, it must just have seemed like a good idea to somebody at the time. Ulysses is still the only space probe that has traveled out of the plane of the ecliptic, which is the plane in which planets orbit the Sun. Even the most powerful rockets cannot counteract the momentum a spacecraft receives from its launch platform, Earth, which orbits the Sun at a speed of some 30 kilometers per second (66,600 mph). The solution was to swoop around a large planet, and going around Jupiter on precisely the right course enabled it to not only lose its excess momentum but also to take up an orbit at a high angle to the ecliptic. This was required to pass over the Sun’s Polar Regions, and the technique proved to be spectacularly successful. A suitable satellite passing over the poles of Jupiter would be able to measure electrical currents entering its poles as well. 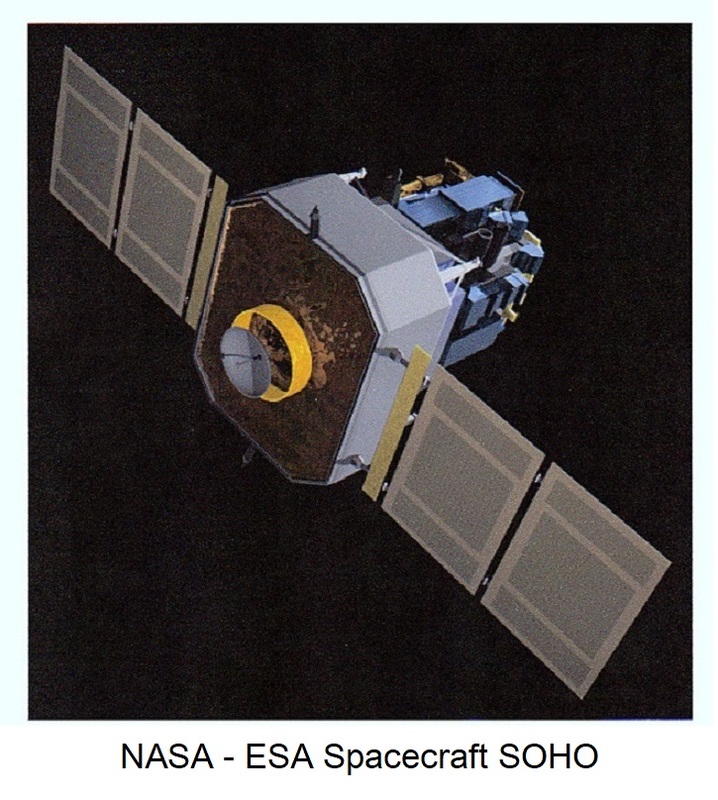 SOHO which, like Ulysses, is a joint venture between NASA and ESA, is conveniently parked at a Lagrangian point, which it shares with a few rocks, and from which it continuously monitors the Sun. (Lagrangian points are in effect, parking places in space where gravitational fields cancel out, and a space probe requires very little expenditure of energy to remain stable in one) A stunning time-lapse sequence from SOHO, taken in the extreme UV, prepared by JPL and shown on television networks around the world, looked remarkably like a handful of slightly fuzzy dowels with individual dowels moving slowly up and down. NASA’s accompanying commentary informed that these were rods of plasma identifying streams of electrical current flowing out of the Sun’s north-polar Region. Actually, the rods consist of columns of plasma that are rising to meet invisible, incoming electrical currents, attracted by their difference in polarity. NASA’s explanation was inexcusable since SOHO wasn’t even launched until 1995, or more than a year after Ulysses had first measured electric currents flowing into the Sun. Hannes Alfvén, a Swedish physicist (1908-1995), recognized that electrical currents flowing within a plasma assume the form of a filament in order to move along magnetic field lines. It is perplexing that NASA could describe these rising and falling columns of plasma (at least they got that part right) at the Sun’s north-pole as being due to electrical currents leaving the Sun. Sometimes, old orthodoxies die hard, even after having been disproven. Ulysses had proven that electrical currents enter the Sun at its poles, even before SOHO was launched. Electric currents consist entirely of electrons, and in a sufficiently high energy environment, as in the Photosphere of our Sun or of any star, electrons can be converted into protons. Thermonuclear processes are associated with our Sun but they do not take place in its core. 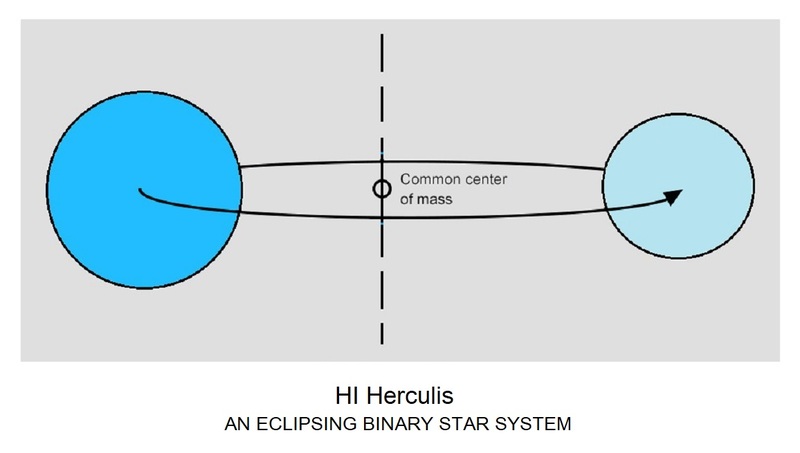 This eclipsing binary star system consists of two blue stars separated by about one-fifth of the Earth-Sun distance, some 2,000 light years from Earth. 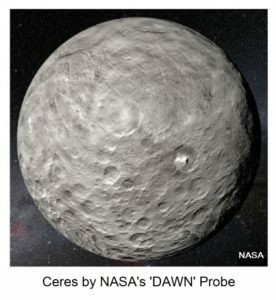 It has presented something of a puzzle and has been of particular interest to astronomer Edward Guinan of Villanova University, at Villanova, Pennsylvania, for reasons that were explained by science writer Robert Naeye in the Nov. 1995 issue of ‘Astronomy’. I have drawn on parts of Naeye’s article for the following. Every planet traces an elliptical path around the Sun. The point where a planet comes closest to the Sun, called its perihelion, advances slightly from orbit to orbit because of gravitational tugs from the other planets. This ‘precession of the perihelion’ means a planet’s orbit rotates with time, tracing a rosette pattern over the course of numerous revolutions. All this is well known to astronomers, who had studied the perihelion of Mercury and found that it advances faster than Newton’s laws predict. Einstein later explained that relativity predicts a significant curvature in the geometry of space-time, close to a massive body like the Sun, which alters the trajectory of a body. 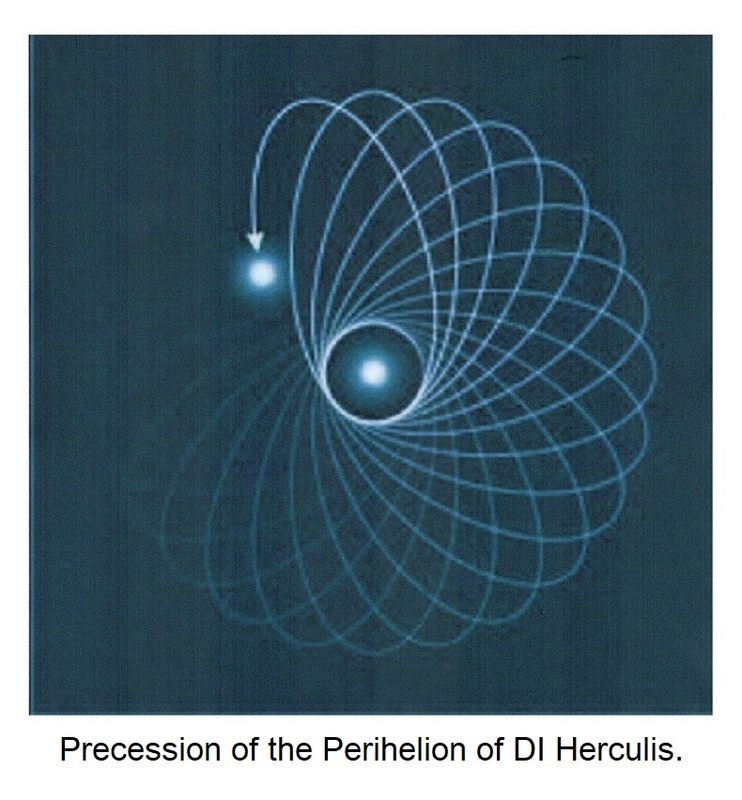 In 1959 the Danish astronomer Mogens Rudkjobing pointed out that DI Herculis would provide an excellent test for general relativity in a strong gravitational field. The reason is that its stars curve space-time around each other but are still far enough apart that the gravity from one star doesn’t deform the other. (i) The theory of relativity may be flawed. (ii) The stars may be formed from an unknown exotic material. (iii) The density would have to decrease as you go deeper into the star…. (i) Every scientist would like to disprove Einstein and become rich and famous, but that isn’t likely to happen anytime soon. (ii) Some stars could be made out of fairy dust, but that isn’t likely to be the case either. (iii) In Dr. Guinan’s own words: “The only way to explain it with internal structure would be for the density to decrease as you go deeper into the star, which is physically impossible.” (My emphasis). I hold Dr. Guinan in high regard for his honesty. Not every scientist provides all possible reasons including those he is unable to accept. What is unfortunate in this case is that Dr. Guinan is a good enough astronomer to have recognized the real reason, but was then unable to bring himself to accept it because of his adherence to orthodoxy. The Chocolate Box tells us that hypotheses can be evaluated directly against Reality only close to the Reality end of the box. As the Fantasy end is approached, many old ideas almost never die, they just get repeated, even for centuries, and incorporated into the fabric of Science. A decrease in density as you go deeper into a star is exactly what occurs. Some of you may be aware of a subsequent article, by the same writer, published in ‘Sky and Telescope’. It addressed the same problem from a different perspective and reached conclusions that are similarly mistaken. If we let the road surface represent absolute zero, (-2730 C; -4600 F) and if the height of the curb is just under 15 cm (6 in. ), then the sidewalk, at this scale, represents the temperature of the surface of the Sun! 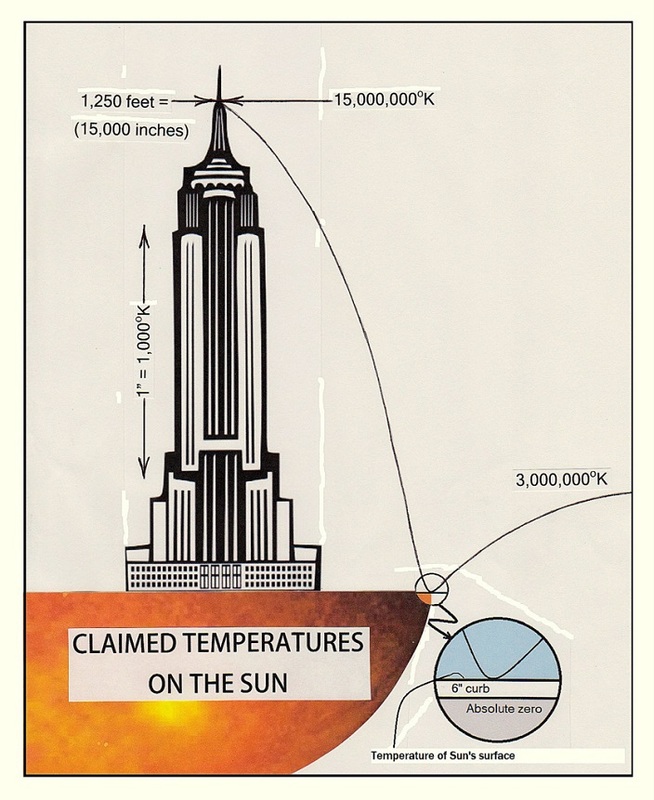 If we could then add 300 or so additional chalkboards as required, on to our original one, the graph line for the accepted 15 million degrees Kelvin core temperature would coincide with the exact top of the skyscraper, 1,250 feet above the sidewalk. I shall return to those electric currents flowing into the Sun. I struggled to come up with an appropriate analogy and first described an ‘Amazon River’ of electricity entering each pole. The accompanying image provides a very rough size comparison of the Sun and Earth and it is clear from this that ‘Amazon River’ isn’t going to cut it. 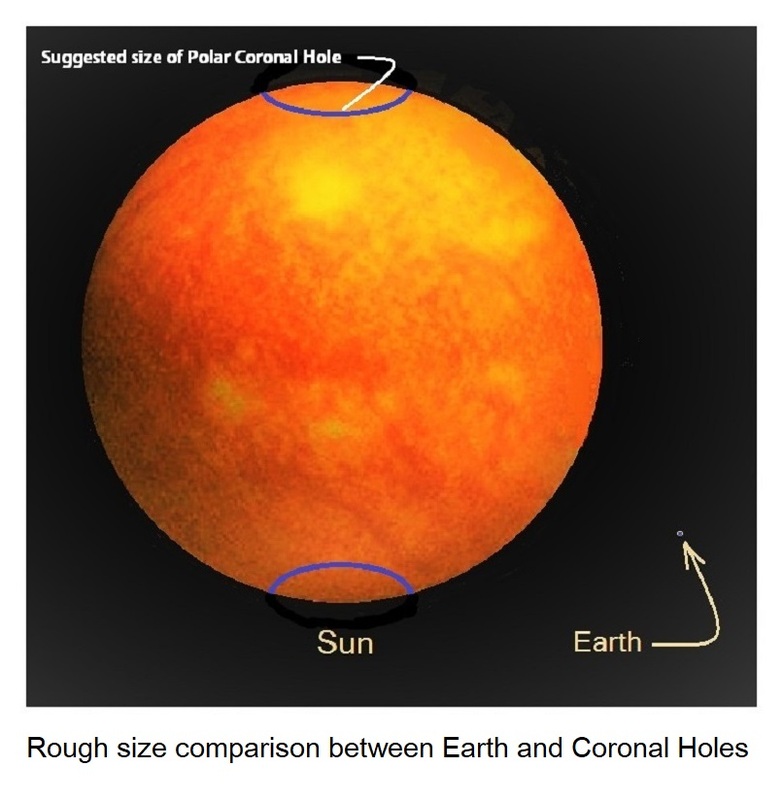 The polar coronal holes are shown at a plausible size, and if we divide the area of one of the polar coronal holes by the area of Earth’s equatorial disc, it fits about 10,000 times! Whatever purpose these electric currents might serve, their effect on the Sun has to be significant. Electric currents entering the Sun fulfill two functions. The first is that they support the Sun against its collapse from the effect of gravity. The second is just as important: Einstein’s famous equation, E=mc2, shows that energy and matter are interchangeable, so a process should exist that will convert energy into matter. C2 (the speed of light squared) is a constant, so the essence of Einstein’s equation can be understood like this: E ↔ m, or this: a lot of energy is equivalent to a small amount of matter. One usually thinks of beginning with matter and ending up with energy, and the atomic bomb is an example of this. The equation works equally well in reverse, however, so we can begin with energy and end up with matter. There are naturally occurring processes in which this transformation takes place. Electric currents entering the Sun’s Polar Regions produce such a strong electromagnetic field that electrons are converted into protons in the Photosphere, whose granulated structure may be a reflection of the individual cells in which this process occurs. The ratio of 1,836 electrons being equivalent to 1 proton, as has been determined at CERN, probably applies in the Sun as well, and in all of the stars, for their fuel is not continually being used up as is commonly supposed. A star can, however, become ‘unplugged’ from its electric circuit due to structural changes within the galaxy. When inflowing energy becomes insufficient to maintain a sufficiently massive star against collapse due to gravity, thermonuclear activity in the core of the star takes place momentarily, resulting in a Supernova. If thermonuclear fusion were to take place in the core of our Sun, it would blow up as well. Astronomers claim that our Sun lacks sufficient mass to initiate a thermonuclear reaction by gravitational compression. Since their dogma also maintains that such a reaction already occurs in the Sun’s core, the faithful are required to overlook this detail. The temperature of the interior of the Sun must be less than the temperature of its surface, as sunspots have a lower temperature than the rest of the Photosphere. In fact, the temperature at the center of the Sun may be less than the temperature at the center of the Earth. For decades, scientists have attempted to create magnetic vessels to contain thermonuclear fusion. This already takes place in the Sun’s corona, but not in its core. Electrons being converted into protons heat the surface of the Sun. The process is not hot enough to have resulted from thermonuclear fusion, but the Photosphere must be where electrons are changed into protons. The strongly granulated nature of the Photosphere, into many cells, supports this conclusion. As we travel outward from the Sun’s core, the first temperatures in the millions of degrees are encountered in the Sun’s atmosphere, or corona. This is where, and the only place where, thermonuclear fusion takes place in the vicinity of the Sun. This is where elements are formed, as well as the neutrinos that are detected on Earth. The neutrino flux produced in the corona is significantly less (less than one third) of what would be produced if the source of the Sun’s energy was thermonuclear fusion in its core. 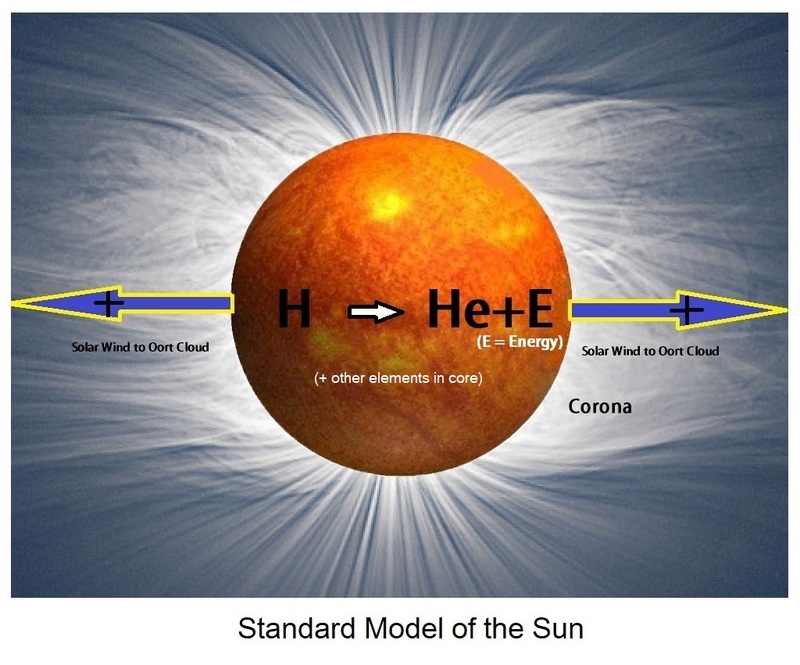 It is proposed that thermonuclear processes taking place in the Sun’s corona result in a phenomenon that is well known to plasma physicists and electrical engineers, called Birkeland currents. These are incredibly strong electromagnetic field lines that twist together, providing the sort of vessels that scientists have been attempting to make for decades to contain controlled fusion. In most controlled fusion designs, heat from this process would turn water into steam to turn a turbine for the production of electricity. My personal opinion is that there are too many problems involved, and it is unlikely to ever be economically practical. Major funding of experiments intended to demonstrate the feasibility of fusion is being progressively curtailed. Fission: yes – fusion: unlikely. The light elements lithium, beryllium and boron, which also have other origins, may be too readily transmuted to be stable near the Sun, while the very heaviest elements might form in the coronas of larger stars, as well as in supernovae. The spectrum of any star would reflect nuclear activity taking place in its corona while revealing little about the star’s composition. In my proposed model of the Solar System, the Solar Wind flows out of the equatorial zone of the Sun in the plane of the ecliptic. It progresses, continuing to accelerate until it reaches the Oort Cloud, which forms an extensive structure between the stars. 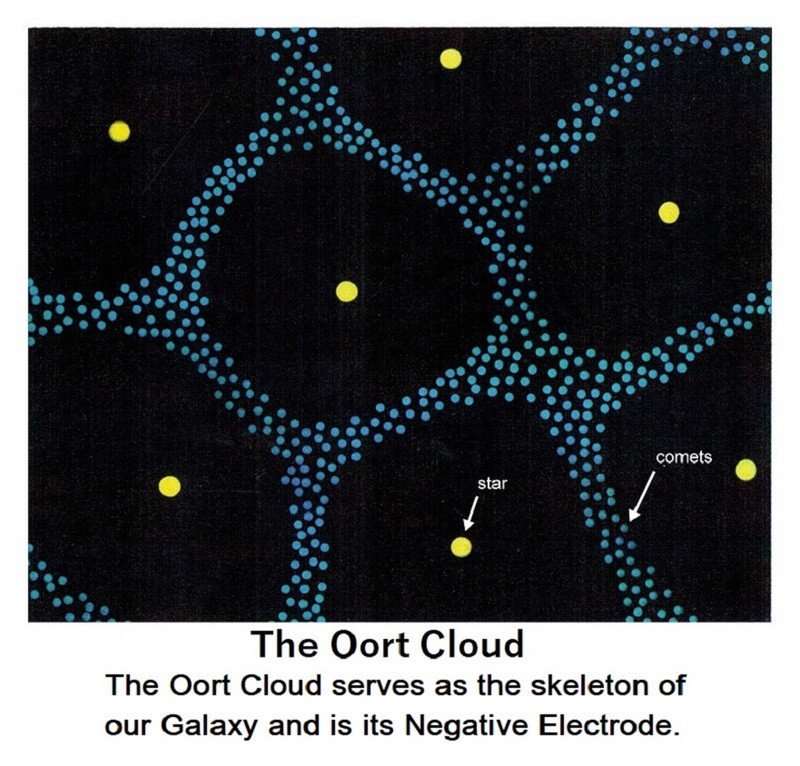 The Oort Cloud constitutes the framework, as well as the negative terminal, of the Galaxy. Electric currents flow from it into the poles of the Sun, and into every other star in the Galaxy. 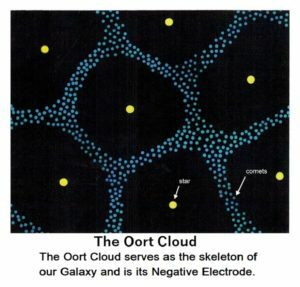 The incredible electric charge on the Oort Cloud appears to result from rotation of the Galaxy within the sparse plasma occupying space. In effect, our entire Galaxy is an electrical generator. Donald E. Scott has written about this, drawing in part upon earlier work by Hannes Alfvén, and so have Eric J. Lerner, and others. Uniform microwave radiation from every point in the sky was discovered in 1965, and acclaimed by theorists, who had predicted vestiges of radiation from the Big Bang. First, though, the data had to be massaged by removing a variation in wavelength across the celestial sphere after interpreting it as a Doppler effect. Then, advanced probability methodology had to be employed to obtain the critical density fluctuations which could not otherwise be distinguished from instrument noise. An apparent red-shift of 1.5 thousand times the estimated original wavelength was accepted without objection! In its final, highly processed form, the data exhibited the required density fluctuations (that could be amplified by gravity to form galaxies) and a beguiling ‘blackbody curve’, exactly as the Big Bang hypothesis required. It is more reasonable to postulate that the variation in wavelength across the Celestial Sphere results from a drop in voltage across the Galaxy. I believe the microwave radiation results from electrical and nuclear processes in the Oort Cloud, while the uniform nature of the radiation reflects the extent of the Solar Cell as seen from the perspective of Earth. A black-body curve could result from Earth’s position within the transmitter. This topic will be covered in greater detail in Chapter #16: Cosmology, under the heading ‘Microwave Background Radiation’. Carl Sagan described science as a “self-correcting enterprise”, but don’t expect to see much self-correcting happening anytime soon toward the “Fantasy” end of “The Chocolate Box” (See #17: The Chocolate Box). 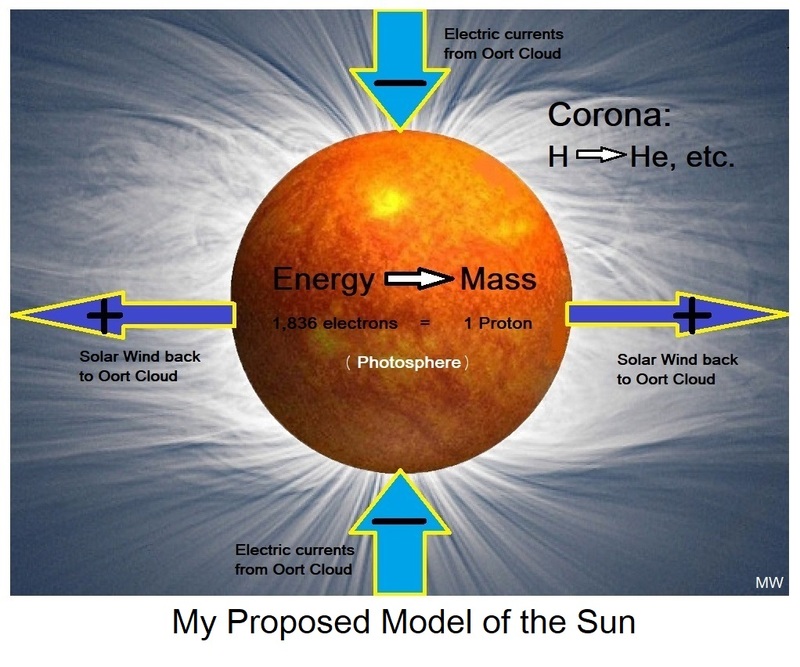 When the theory that our Sun is not a fusion engine generating power but an electric terminal collecting current from its surroundings, was proposed in 1955 by Professor Melvin A. Cook in the ‘Bulletin of the University of Utah’, the reception accorded him is noteworthy. To quote Ralph Juergens, “… since he was not a professional astrophysicist, his comment was as unnoted as it was unsolicited.” Considering the response of astronomers to Immanuel Velikovsky, the professor might have considered himself fortunate. I share Velikovsky’s persuasion that the excess of emotion directed against him was a result of inner doubts he evoked about the correctness of the science that astronomers felt compelled to defend. Similarly, Fred Hoyle wondered: “…why the steady state theory was widely attacked by astronomers with an almost insensate fury.” (“The Intelligent Universe”, page 237). Juergens’ formal training was in electrical engineering, while mine was in geology. (I was accepted into Stanford University’s Ph.D. program but I went into industry instead.) Many advances in science have been brought about by those whose formal training was in a different discipline. My contributions to astronomy might not rival the work of Ralph Juergens, or Halton Arp, or Hannes Alfvén, each of whom was silenced by the ‘Old Boys’ Network’ (otherwise known as ‘peer review’) using any means available to it. What is widely accepted at the Fantasy end of the Chocolate Box is offensive to me. The public, which is paying the bills, deserves better. 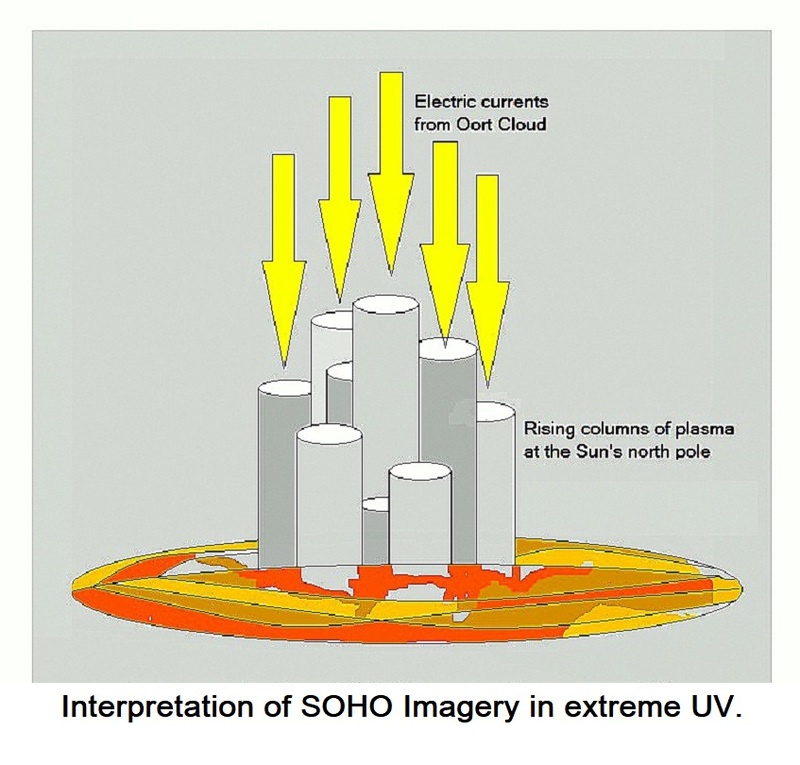 The JPL report on SOHO, claiming electrical currents flowing out of the Sun’s north-pole, was made long after the Ulysses program had shown that current flow at both poles is into the Sun. Interestingly, NASA’s present Ulysses website has been ‘sanitized’ of any mention of electric currents entering the Sun that had been included in earlier versions. They have been replaced by the Solar Wind, probably because it does flow out of the Sun, and therefore may appear to be more in step with conventional thought. After an orthodoxy becomes strongly established its fundamentals may escape questioning, even by institutions that have been entrusted by the public to do exactly that. It may be fairly asked, therefore, whether NASA’s primary role is doing science or providing entertainment. It isn’t inappropriate, of course, for science to be entertaining. What is inappropriate is for false entertainment to be passed off as science. NASA’s forte has always been engineering, some of which has been spectacular, but it has never been science. This chapter is based on a paper I submitted to the Lunar and Planetary Institute, which holds its annual joint meeting at the Johnson Space Center for NASA scientists, and academics. The suggestion that I should write it came from the lead scientist of the Planetary Geology Group at NASA’s JPL. You can read the response it received in the accompanying letter. Confidence in the belief that thermonuclear fusion takes place in the core of our sun might explain the prolonged effort that was directed into searching for the ‘missing’ solar neutrinos. So well established is the dogma, however, so unimaginable its falsity, and so unacceptable its invalidation, that it continues to flourish regardless. The eventual, inevitable abandonment of the Standard Solar Model carries huge implications for astronomy. The torment of contemplating that so much in astronomy could be make-believe may provide reason enough for so many to defend their faith. Harlow Shapley, one of America’s best-known astronomers, and a director at one time of Harvard College Observatory may have been mentally ill when he organized a criminal secondary boycott against the distribution of Velikovsky’s book, “Worlds in Collision”. It is fair to note, however, that he never experienced any lack of followers. What will the response of his profession be this time? In its early history, every star could be required to generate a secondary body (a protoplanet) in close proximity in order to satisfy some physical requirement, such as the establishment of a stable ecliptic. The protoplanet grows by collecting mass from the stellar wind, remaining close enough to its star to sustain a strong electrical connection, and maintaining a semi-molten state. Differentiated zones develop in the protoplanet, from a metallic core to a rocky mantle, as it continues to grow. Eventually, the protoplanet reaches a size that is unstable for its close-in orbit and it disintegrates, with its matter coming together within the Sun’s strong physical fields to form future planets and moons. Perhaps every star generates its own family of satellites in a similar manner. The main difference between the two types of worlds in our Solar System may simply have been whether one had sufficient mass to retain hydrogen. 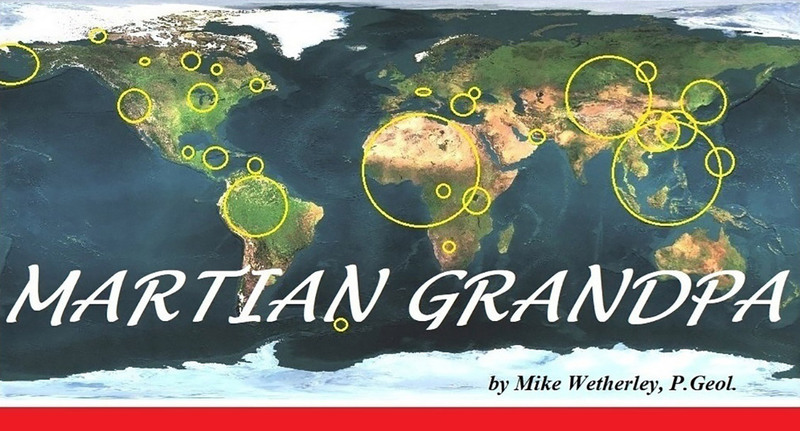 If Earth had been a little more massive, it could have become one of the gaseous planets. Within the star’s gravitational and electromagnetic fields, fragments of the protoplanet accumulate in random fashion. The resulting bodies—planets and moons, will have diverse electromagnetic and gravitational characteristics, interacting with patterns of behavior unique to each Star System. This menagerie of new worlds continues to satisfy whatever requirement was being provided by the protoplanet, and the star continues to dictate orbits available to the planets. One day, astronomers might recognize that planets and moons in our own Solar System change their positions from time to time, and interact. In our Solar System, the planet Mercury has a high ratio of metallic core to rocky mantle, while Earth’s Moon has a low ratio. Our Solar System’s ‘worlds’ (planets and moons which have a spherical form, metallic core, and rocky mantle) all display diversity in their makeup. Even the great gaseous planets, like Jupiter, must have a core like the rest, in order to have the electromagnetic characteristics that they display. A planet’s plasma sheath forms as a result of electrical energy received from the Sun which is streamed away by the Solar Wind. Donald E. Scott (writing in ‘The Electric Sky’) has suggested that this process may control the spacing of planetary orbits. The plasma sheath of Venus almost reaches Earth at its closest approach, which could have led to Earth’s orbit being moved slightly outward to accommodate the insertion of Venus, in 747 BC. Velikovsky claimed that the length of Earth’s year increased from 360 days to 365 ¼ days at that time. Earth is the most massive planet of the inner Solar System, with the most massive metallic core. The difference isn’t profound, but it is evidently enough to keep it close to its present orbit. This has allowed its oceans to remain in a largely liquid state, and the evolution of advanced life has been dependent upon this random process. Ceres, a present occupant of the Main Asteroid Belt, is the smallest world in our Solar System. According to this classification, it is required to contain a metallic core within its rocky mantle. Our Sun is a star, like other stars in the Milky Way Galaxy. Any misunderstanding of the physical process that takes place in our Sun carries wide implications for extending knowledge of our Galaxy, and of the Universe. It is impossible for scientists to develop an understanding of the physics of the Universe as long as they continue to insist that our Sun is powered by a thermonuclear process at its core. Astronomers have long boasted that a major achievement of their profession has been to explain how the Sun, and by extension the stars, function. Students are taught these things, and by the time they reach retirement, the story hasn’t changed. This is because there are too many professional papers bearing names, and reputations, to permit the fundamentals to be questioned. Astronomy operates as a ‘closed shop’. One is required to accept what others accept and to acknowledge the paradigms that others have developed. There are only a small number of large telescopes, and only those who play by the rules are permitted access. Similarly, there are a small number of professional journals, and ideas considered too revolutionary may be deemed unacceptable. An article about ‘multi-verses’ will get through reflecting the flavor of the day, but one that questions the energy source of the Sun will likely be viewed as too outrageous to be considered for publication. 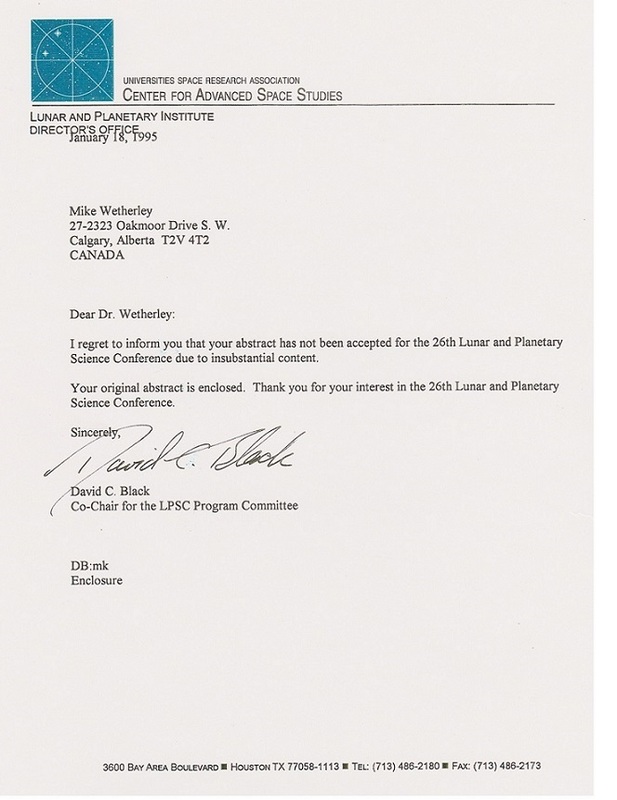 In this way, nothing changes, and non-conforming astronomers have had their careers terminated as a result of this process. Halton Arp, an outstanding astronomer, was denied telescope time because others disagreed with his conclusions about the association of quasars with galaxies and had to move to Europe in order to continue in his profession. There is no appetite for reconsidering the fundamentals, so these topics are blocked. Too many papers are based on them, and too many vested interests are involved. Just as all the knowledge and intuitions of the bankers assured them that big banks are too big to fail, so do astronomers know that their claim about the energy source of the Sun cannot possibly be wrong. Since those attempting to bring about change from within will be frozen out, it befalls others, from outside the profession, those who aren’t seeking time on a large telescope and who couldn’t care less about the opinions of editors of astronomical journals, to bring about change from outside. The stars, including our Sun, are powered by electricity. The Sun is part of an electrical circuit in which electrical currents of prodigious strength, as was proven by the Ulysses program, flow from the Oort Cloud into the north and south poles. It is my claim that electrons are changed into protons in the Sun’s Photosphere, probably at the ratio of 1,836 electrons to 1 proton that has been determined from the study of Particle Physics at CERN. Electrical forces maintain the Sun’s shape and provide Birkeland plasma currents in which thermonuclear processes create elements within the Sun’s Corona. These nuclear activities generate neutrinos, some of which reach Earth, but not in as large numbers as would be the case if a thermonuclear reactor was operating at the Sun’s core. Only by ignoring lessons from the NASA/ESA Ulysses program, and by rejecting implications of the Second Law of Thermodynamics, has it been possible to suppress the fact that the Sun runs on electricity.